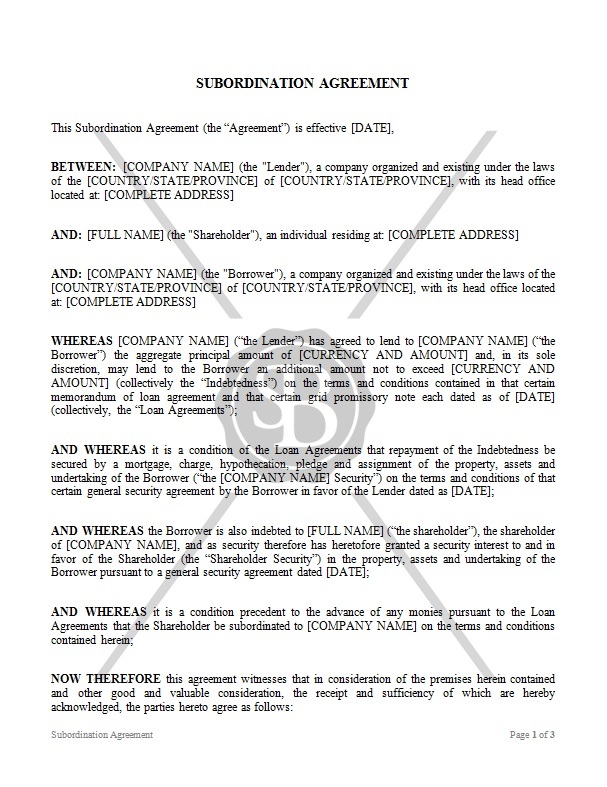 This Agreement is made between the Lender, the Borrower and the Shareholder. The Lender and the Borrower have entered into loan agreements where the Lender agrees to lend to the Borrower a principal amount of money. The Borrower is also indebted to the Shareholder with agreement for Shareholder to be subordinated to the Company on the terms and conditions of the agreement.